The Princess Diaries या The Devil Wears Prada? Out of these, who is your प्रिय Anne's female co-star? 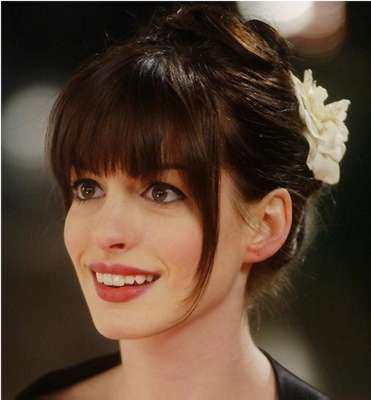 Post A Beautiful चित्र Of Anne Hathaway! 5 years ago, I saw this movie and I would प्यार to read the book one दिन (no puns intended)! Here is my review on this touching film about 2 people meeting on 1 day. As mentioned, the film is based on the 2009 novel द्वारा David Nicholls. It's about how Emma and डेक्स्टर met and coincidentally they met on the साल that I was born and it was during their time in Edinburgh, Scotland, UK when they were विश्वविद्यालय students. हे ppl do आप know a thing? that superstar and celebritie's lifes aren't real. they are fake. all the फिल्में they do and what they do are all fake. all thing in the news like: e news,e buzz, celebrity gossip, style life and many और everything is fake. cause to be a celebrity आप need a great thing in urself. so if they fight या do this kind of stories everyday then they wont be a celebrity. so never follow their life. if आप want to be a superstar then dont follow any of the news and movies. be yourself and do all your things. then oneday आप will be a superstar. Anne Jacqueline Hathaway (born November 12, 1982) is an American actress. She made her अभिनय debut in the 1999 टेलीविज़न series Get Real, but her first prominent role was in Disney's family comedy The Princess Diaries starring opposite Julie Andrews, which established her career. a pop quiz question जोड़ा गया था: How many children does she have? a pop quiz question जोड़ा गया था: What साल did she become active as an actress? a pop quiz question जोड़ा गया था: What was her very first movie? Which Anne's movie is this quote from : "New model comin' in this week, remember ? You're the best combine salesman we got."